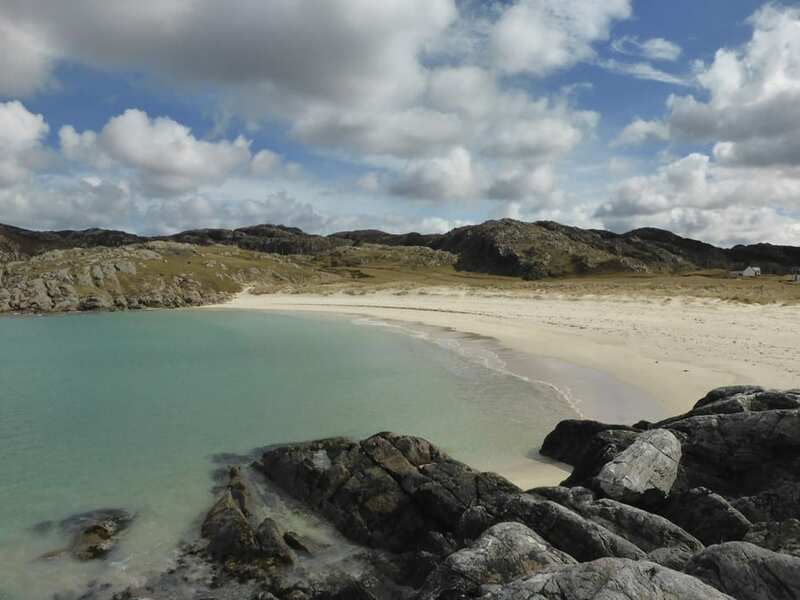 The main beach at Achmelvich (NC0524) is most attractive, especially when the sun is out, with an arc of fine sand flanked by rocks and backed by dunes covered in marram and lyme-grass (Photo 1). Since it is deservedly popular in season with sunbathers, builders of sand castles, swimmers and boaters, local naturalists, being generally less gregarious creatures, have perhaps not given it the attention it deserves. The morning of 6th March 2016 was chilly, with a threat of snow. We had intended to explore an area above the shores of Loch Assynt, but decided that the shore at Achmelvich might be a pleasanter option, especially as the tide was well out. We walked across the machair to the northern end of the beach, and found that we had it to ourselves. 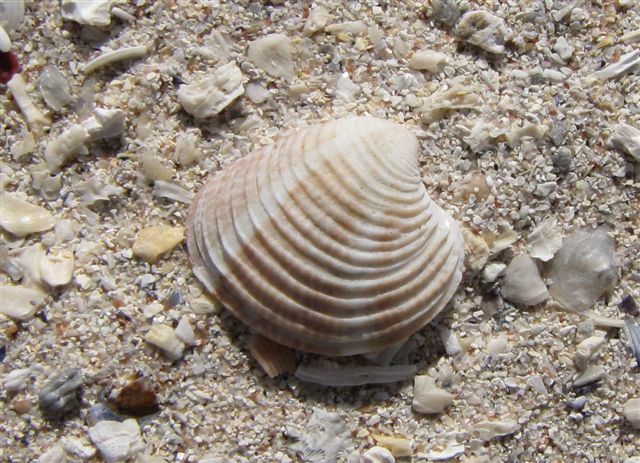 The immediate tide-line was not very productive, although we did find a good example of one of the smaller razor-shells Ensis arcuatus, which has one straight and one curved side. 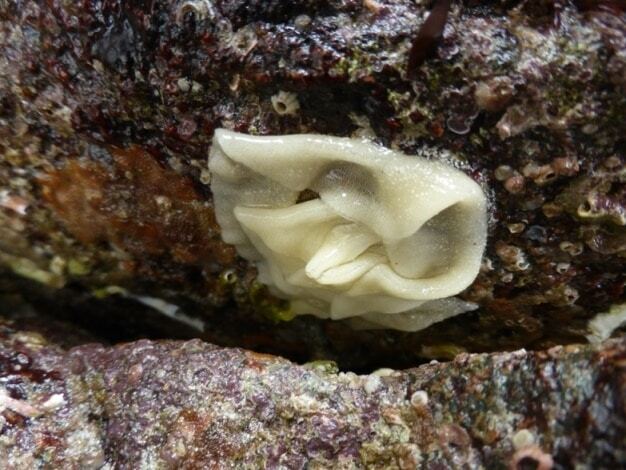 Crevices and rock pools on the southern side of the beach provided us with a good variety of the usual invertebrates, including breadcrumb sponges and dog whelks surrounded by their translucent egg capsules (Photo 2). 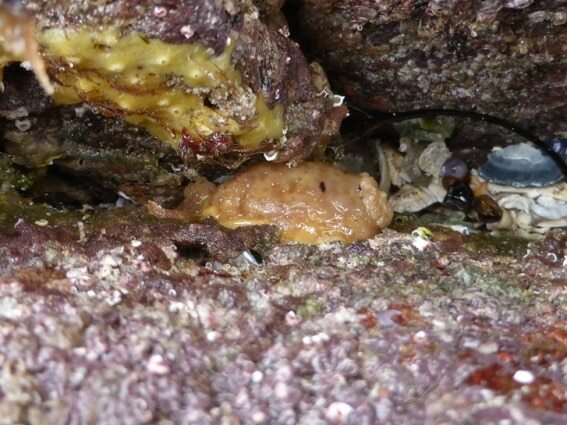 Deep in one crevice were a couple of sea lemons Archidoris pseudoargus (Photo 3), one of the largest of the sea slugs, and nearby was a coiled ribbon of the eggs of this species (Photo 4). 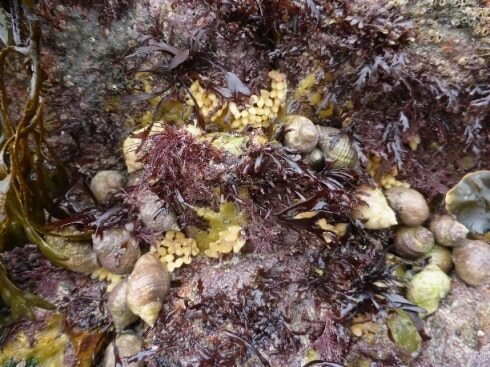 Walking back higher up the beach, we made for a thin layer of cast-up wrack, finding, on close inspection, a rich assemblage of molluscs, mainly bivalves (Photo 5). 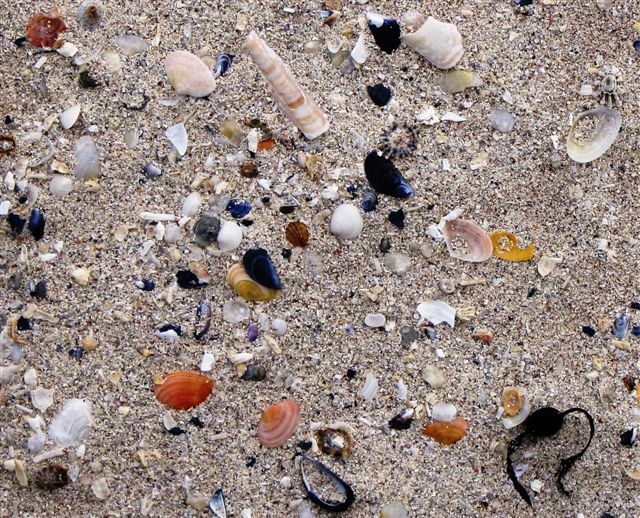 Conspicuous were two species with shells about the size of small fingernails, the fragile, pink or orange, banded ones of the thin tellin Angulus tenuis, interspersed with those of the variegated scallop Chlamys varia, richly patterned in shades of orange and red (Photo 6). 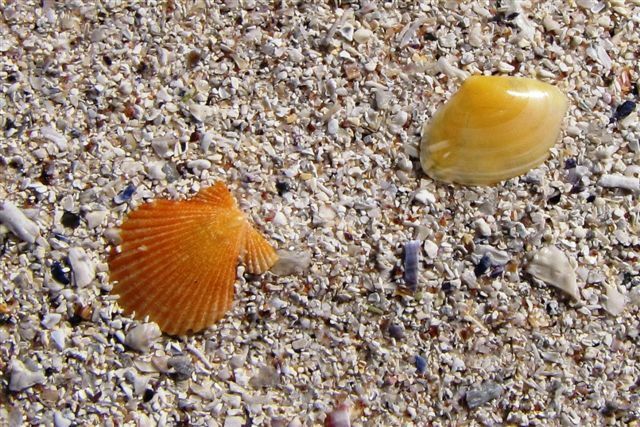 There were fewer examples of at least thirteen more species of bivalves, including the robust ridged striped venus Chamelea gallina (Photo 7), the sawtooth-edged banded wedge shell Donax vittatus, a Faroe sunset shell Gari fervensis and one small angular example of the ark shell Arca tetragona. Several others await definite names until we are more expert and have acquired some comparative material. Gastropod molluscs were less various, mostly the ubiquitous common limpets and common mussels. However, they did include just one cowrie Trivia monacha, which we have now found, though often in small numbers, at nearly all of the Assynt beaches we have so far sampled.